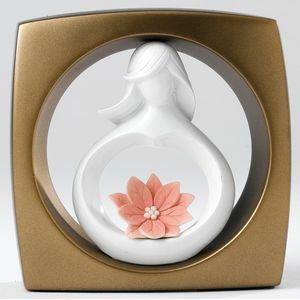 Circle of Love figurines and sculptures celebrate the warm feeling of love and family through flowing, sensuous lines and entwined circles. Kim Lawrence is the artist behind this contemporary, porcelain home decor line loved around the world. A talented sculptress with a wealth of popular personal collections behind her, she excels in the definitive interpretation of emotions that inspire the human spirit.